Buy and Sell or Consign your boat. Service and Repair too. » Buy and Sell or Consign your boat. Service and Repair too. 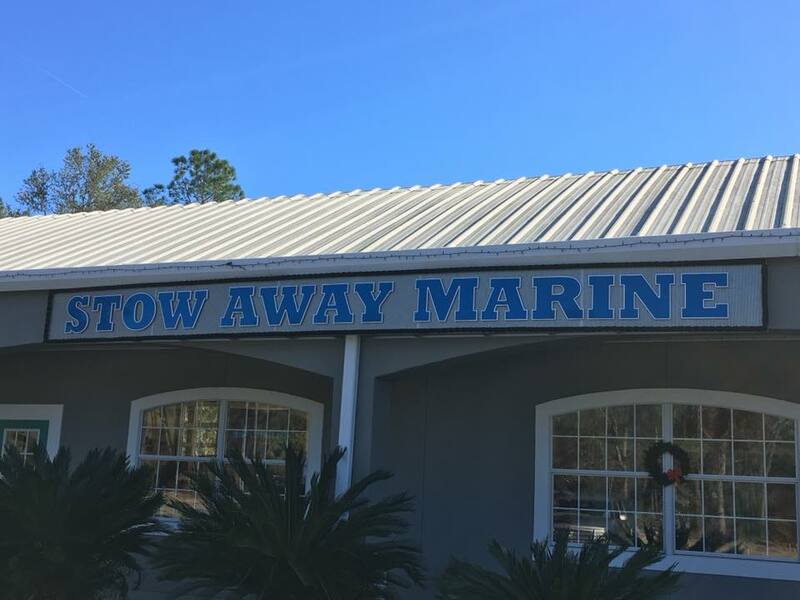 Stow Away Marine & More, Inc. is conveniently located in Wakulla County (approximately 20 miles from downtown Tallahassee) on Coastal Hwy 98 between Woodville and Crawfordville Hwy. Serving the big bend area and all surrounding counties! We take pride in offering brand new Pioneer, Avalon and AlumaCraft boats; Suzuki, Honda and Yamaha outboard motors. In addition, we always have premium used boats and motors for sale. We have a great service team to keep your boat ship shape from bow to stern! Proudly supporting the local economy and offering local brands. Of course we stock a complete line of boating necessities and supplies. We also have a wide variety of fishing necessities and strive to stock all your essentials! At Stow Away Marine you will be treated like family! Our goal is to simply "keep you out on the water"! Whether you are visiting or live here; whether you stop in once or a regular customer, you are our top priority and we are sure you will feel that way when you leave our store! Stow Away Marine & More, Inc. offers full service and repairs for all boats, outboard or inboard motors and trailers. Our service center and technicians can work on any make, model or brand boat and provide inboard and outboard repairs for Yamaha, Honda, Mercury, Evinrude, Suzuki, Mercruiser, Volvo, and OMC. Whether you need a minor service or a full overhaul, from prop to upholstery to fiberglass work, we can repair anything on your vessel or trailer! And...we still have the best rates in our area!! 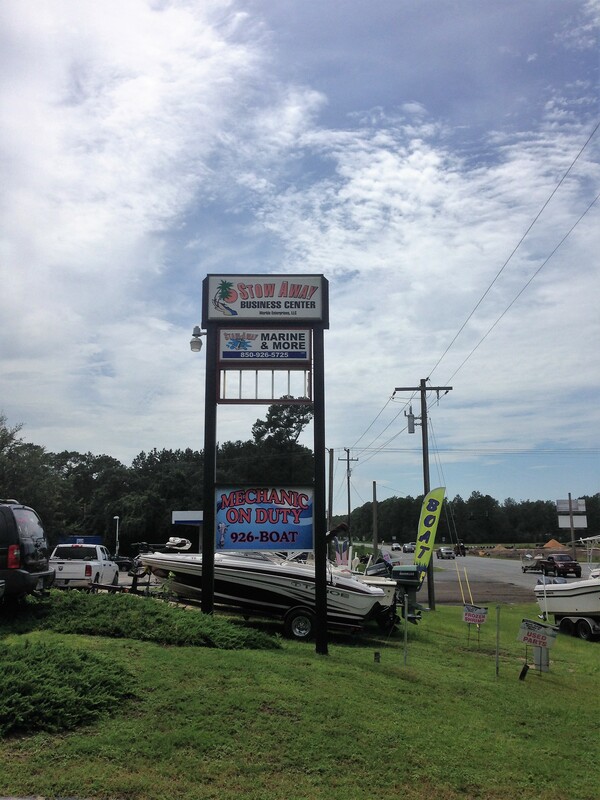 Stop by our boat dealership today in Crawfordville, just south of Tallahassee, or fill out our Boat Service Request form online at http://www.stowawaymarine.net/services/. Our Outboard Specialists are on duty Tuesday through Saturday from 8:30 until 5:00pm - stop in anytime, or call ahead! 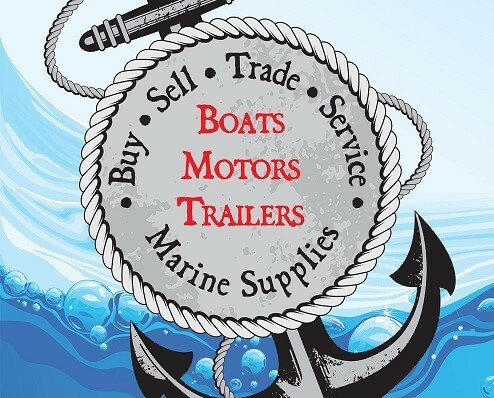 We service boats, motors and trailers: Listed are just a few of our services. Need some extra cash? Looking to sell your boat? Perfect, because Stow Away Marine & More is stocking up! 4) As many pictures as you can! We will not buy boats, motors or trailers that do not have a title, or the proper paperwork for your state...call with questions! Website: Please visit our site to view all of our services.